It is not often that the city of Austin sees one of the “Big Five” orchestras; to conclude the Menuhin Competition Austin 2014, the organizers brought in the Cleveland Orchestra, recognized as one of the finest in the world today. Since the tenure of George Szell (1946-70), the Cleveland has been ranked with the best and its’ over 600 recordings are often cited as reference versions. The current music director of the Cleveland Orchestra, Franz Welser-Möst, was unfortunately, otherwise engaged leading a North American tour by the Vienna Philharmonic. 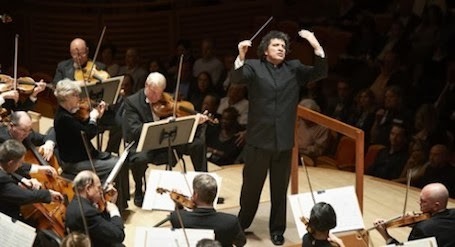 In his place for this Menuhin Competition Austin 2014 “Gala Concert” was Giancarlo Guerrero, the orchestra’s principal guest conductor for its Miami residency and music director of the Nashville Symphony. Mr. Guerrero is a fine conductor and under his direction the Cleveland Orchestra played superbly, as always. The participation of this distinguished orchestra added greatly to the importance of the Menuhin Competition Austin 2014, in which forty-two outstanding young violinists from around the world participated; it is no small thing for the 1st place prize winners in Junior and Senior sections to put on their resumes that they have performed with the Cleveland Orchestra. The very well-organized Menuhin Competition Austin 2014 slacked off a little in this final event; neither prize winner was listed in the program insert nor was either introduced from the stage. Many in the audience had probably followed the proceedings of the competition closely throughout the week but I am sure many others in the audience were seeing and hearing these young performers for the first time. Is not the point of the competition to give the prize-winners a launch worthy of their talent? 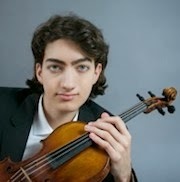 I would also venture to suggest that it would have been better to give the 1st Prize Winner (Junior Section) something more substantial to play than the tired Kreisler Praeludium and Allegro. Fourteen-year-old Japanese violinist Rennosuke Fukuda won his prize playing Waxman’s fiendishly difficult Carmen Fantasy; had he played it again at the Gala concert, the audience would have had a much better indication of his phenomenal talent. 1st Prize Winner Stephen Waarts (Senior Section) should have been given the opportunity to play Prokofiev’s Violin Concerto No. 2 in its entirety. In my opinion, at the Senior level and on such an occasion, the 1st Prize Winner should be playing complete concertos rather than single movements. I would also question whether it is fair to either competitors or to jury members to have them give performances at the same concert. A jury member who is a well-established soloist of international reputation may well make the performances of the prize-winners, however gifted, pale by comparison. Another possibility is that the guest soloist might have an off-night, in which case his/her performance may pale in comparison to those given by the contestants he/she has been judging. Competition organizers have made the argument that by having winners and jury members perform on the same program, they are encouraging an atmosphere of collegiality between judges and competitors, but perhaps this does not really work. In the Dvořák and the Tchaikovsky orchestral works, the Cleveland Orchestra gave us playing that was finely detailed and exciting. 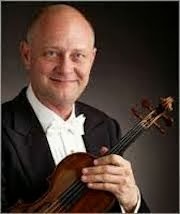 As I listened I was reminded of an often-quoted remark made by a member of the orchestra in Szell’s time: “We start to rehearse where other orchestras leave off.” I was reminded also that, for many years, concertmaster William Preucil was the first violinist of the Cleveland Quartet. Let me state unequivocally that if any orchestra in the world has a finer string section than the Cleveland Orchestra, I haven’t heard it; much of the credit for that reality must go to Mr. Preucil. This man has a legendary reputation for attending to detail and we heard it in the unanimity of attack, the minute care taken over dynamics and phrasing and the total commitment of each man and woman in the string section. Watching Mr. Preucil is, in and of itself, worth the price of admission. He scarcely seems to look at the music on his stand and much of the time he seems to be looking over his shoulder to make sure the troops are in good order. The results speak for themselves. The surge of string sound at appropriate moments in the Tchaikovsky was extraordinary, and even the softest and most delicate phrases had exquisite shape and color. Under William Preucil’s leadership, the strings of the Cleveland Orchestra are a marvel. His approach, which reflects his chamber music background, is to perfect minute details with the kind of tenacity that is usually reserved for the finest string quartets. What Preucil has instilled in the strings is shared as an approach by the other sections of the orchestra; note, for example, how the orchestra is seated. There are no risers on stage. If I am not mistaken, Cleveland Orchestra members have always sat at floor level, in the belief that such close seating produces the best possible sound - blended and balanced. The thinking is that brass and percussion, for example, are loud enough without giving them an unfair advantage by being seating them at a higher level than the strings and woodwinds. Of course, there is a downside to the chamber music model for a symphony orchestra. In a work like the Tchaikovsky Fifth, there are moments when nothing less than searing trumpets and thundering timpani will do. I have a live performance of this work by Mravinsky and the Leningrad Philharmonic still ringing in my ears that had these qualities. But this is not the kind of performance you will hear from the Cleveland Orchestra. I say this not so much as a criticism, but to point out that for all the homogeneity among orchestras today, there are still valid differences. The Cleveland Orchestra has its own style of playing, and it is both well-considered and deeply satisfying in a very wide repertoire. It has been a great week of music-making in Austin. Heartfelt thanks are due to the Menuhin Competition and to the Butler School of Music at the University of Texas as the host organization. The next Menuhin Competition will take place in April, 2016 in London, England. 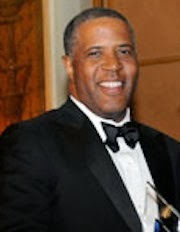 Special thanks are also due to Robert F. Smith and Vista Equity Partners for sponsoring the Austin concerts by the Cleveland Orchestra. Mr. Smith has also used the occasion of the Menuhin Competition Austin 2014 to join with the Butler School of Music in launching COMP (Children’s Opportunities for Music Participation). The purpose of this new program is to provide instruments and music education to Austin-area young people who have historically been underserved in access to the arts. To learn more about COMP and to make a contribution to its endowment fund, visit the website of the Butler School or contact Dan Seriff, Outreach Coordinator at 512-471-5496, or danseriff@austin.utexas.edu. Canadian classical music lovers, take note: Among Stephen Waarts’ upcoming engagements is a recital at the Orford Festival, Orford, Québec, Canada (August 15, 2014).